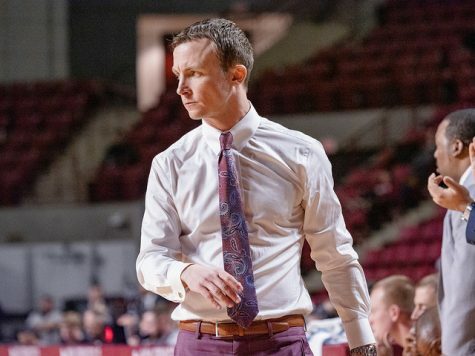 Massachusetts men’s basketball coach Derek Kellogg didn’t know how he envisioned his team improving this season. 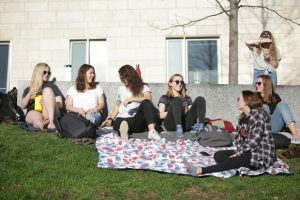 But he knew this much for certain: Back in October, the Minutemen were a raw, unfinished product. They had pieces, athleticism and lofty goals ahead. 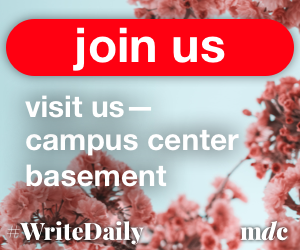 They also faced a difficult early schedule and the obvious growing pains that accompany a youthful team in transition one season after a return to the NCAA tournament. 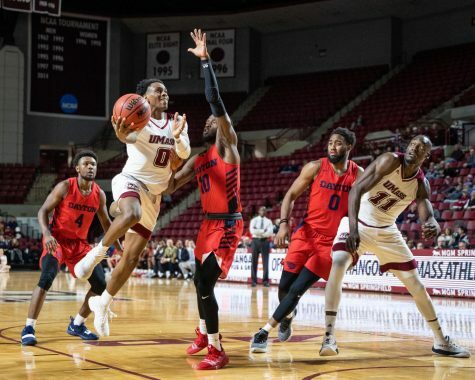 Now, after UMass (14-9, 7-3 Atlantic 10 Conference) discarded La Salle 66-59 Sunday at the Mullins Center for its fourth straight win, it’s clear a more refined product is taking shape. Perhaps no player has embodied this more than freshman guard Donte Clark. Clark asserted himself on Sunday into the role of dependable scorer, something fans – and even Kellogg – have looked for all season. He scored a team-high 23 points, was 5-for-7 on 3-pointers and even added seven rebounds and four assists. Clark scored 16 points in the first half and was a perfect 4-for-4 from downtown. 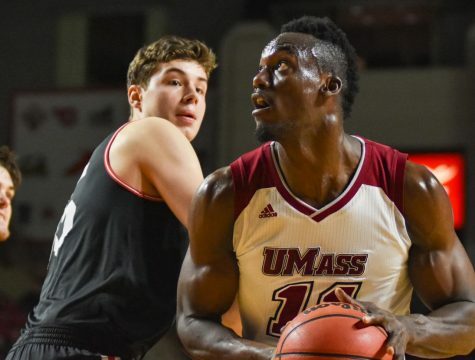 Much like the rest of the Minutemen, Clark’s progression hasn’t been rapid. He averaged just 6.8 points per game over his last six games and made only two 3-pointers in that stretch. 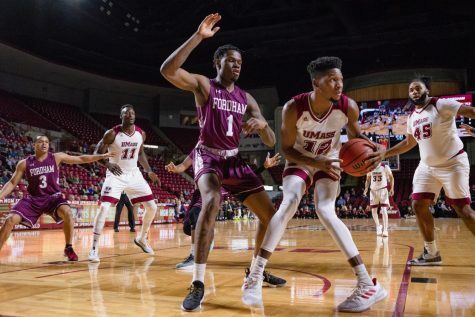 If Clark can sustain that scoring, it’s another asset for an evolving UMass offense. 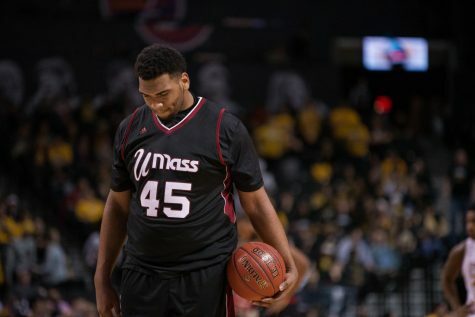 Early in the season, if seniors Maxie Esho and Cady Lalanne weren’t scoring, danger lurked. 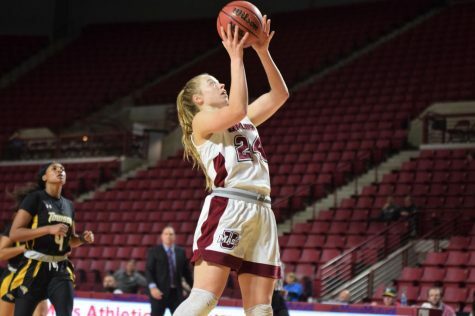 On Sunday, the duo scored 11 points apiece but Kellogg pointed toward their patience as their most important attribute. 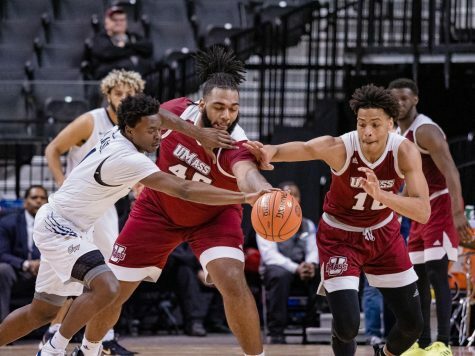 In a crowded A-10, UMass suddenly sits only a game out of first place. 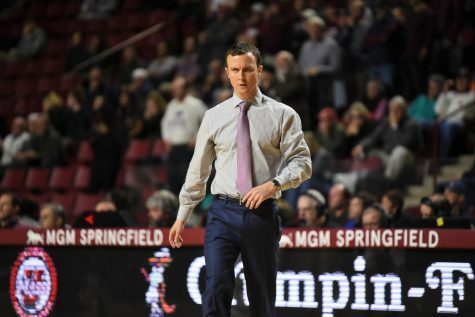 Unlike last season, when the Minutemen faltered in conference play, they appear to be primed for an ascension. 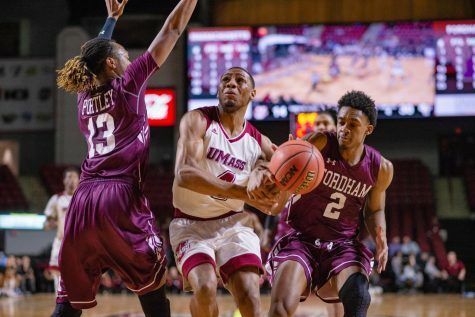 Winnable games, as well as prime opportunities, await UMass. It travels to St. Bonaventure on Wednesday, a difficult atmosphere to play in. 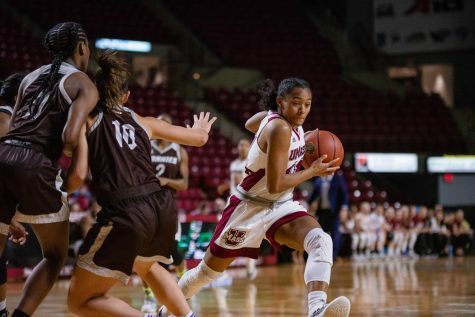 Kellogg said the Minutemen will need to “steal” a victory against the Bonnies. Yet he also acknowledged it’s time to take advantage of this recent run. Consistency remains what the Minutemen seek. It could use more performances like Sunday’s from Clark, and Kellogg said he still needs Lalanne and Esho to “dominate” games at certain junctures. But he also said he believes his team doesn’t have a ceiling in terms of improvement. “I don’t think so, I’m not sure but I don’t think so,” said Kellogg, before pausing and looking up.